Happy New Year y’all! we slept off the champagne and it’s time to work off all that food we ate last month. first, we officially announced our new publishing deal with Rough Trade Publishing and our licensing deal with Bank Robber Music! we’re so stoked to have these fine folks on our team. we sneaked on a couple year-end lists here in Nashville, The Nashville Scene’s Best Local EPs of 2018, and Lightning 100’s Best Music of 2018. much love and many thanks to our hometown support system! we also got our first show of 2019 coming up real fast, a hometown get down with Big Sam’s Funky Nation! catch us opening up the show next Friday, January 11th at City Winery in Nashville. Get your tickets here, and RSVP here. We’re piling in Whoopie Goldvan this week to bring the AR show straight to the people! Catch us in Lexington, Kentucky, and Columbus, Ohio Friday and Saturday night! this Thursday September 13th we're coming back to Memphis! we'll be at The Old Dominick Distillery bringin the heat and $5 from every ticket will go to their non-profit partner of the night, the Memphis Songwriters Association! Get your tickets here. on Friday the 14th, Alanna will be singing in a very special tribute to 1968 during the Americana conference in Nashville. check the flyer below for details, info on Americanafest here. then on Saturday the 15th we'll finish our Tennessee tour in Chattanooga at the Tennessee Whiskey Festival at the Chattanooga Choo Choo! Tickets and more information here! ooh it is HOT OUT, y'all! We been having an amazing summer, though! Live On the Green was AMAZING, thank you so much to everyone who came out! Click here to check out the photos! how about Alanna Royale COOKIES??! Hi Fi Cookies here in Nashville designed us an exclusive cookie to have while you're listening to our new record! check out the photo below to behold the glory of this delicious beauty, click here to order a dozen of your own! 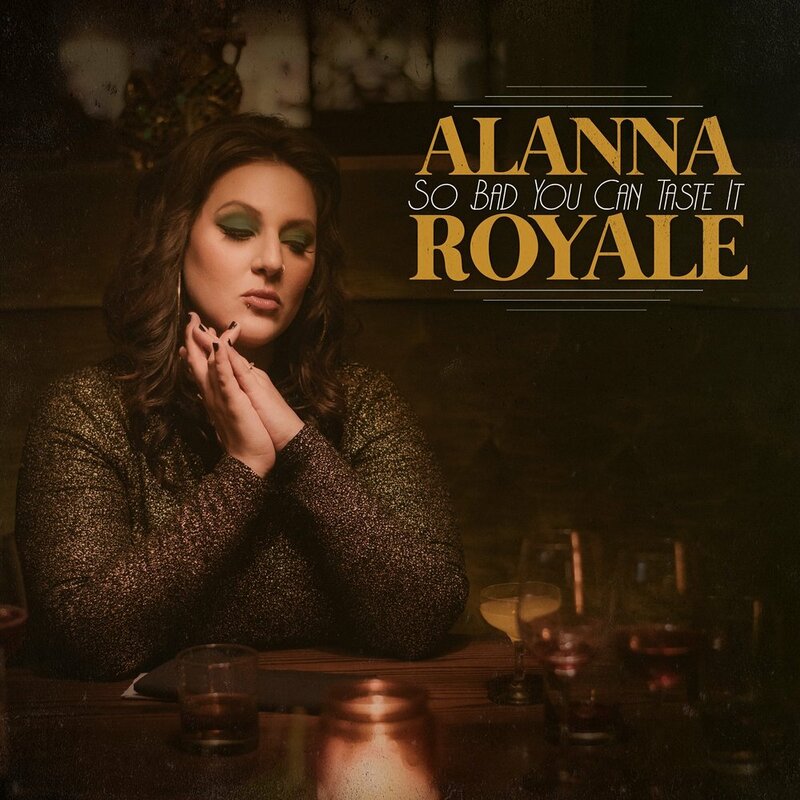 also check out Alanna's assorted dozen "Royale Mixtape" while you're there! as we head into fall we got a bunch of shows coming up, come see us play the new songs live! IT'S FINALLY HERE! AVAILABLE EVERYWHERE DIGITALLY! CLICK HERE TO ORDER YOUR CD! Cruel Cruel World Out Today! the second single from So Bad You Can Taste It is live on your favorite streaming service! click the link below and feel it!